Whoops, I didn’t tell you…..but I signed up for a race late last week and ran it on Sunday! Gasp! 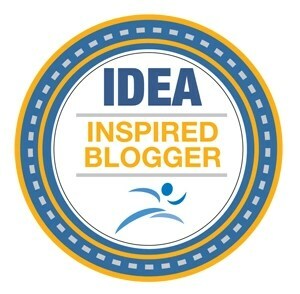 I know, I know…always share it on your blog first…sorry peeps! 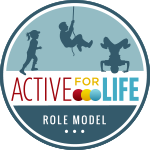 I signed up for the MEC Race One in Halifax last-minute as I wasn’t sure what the weather was going to be like or child care for the girls. My husband was home and was going to run it too but injured his neck. The girls stayed with my sister and parents and had tones of fun! Word on the street (twitter world) was that it was a go! 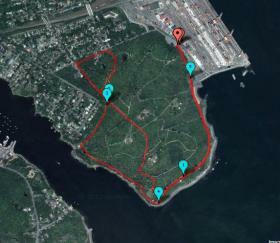 So we left the house and headed down to Point Pleasant Park. It was raining pretty hard when we arrived so I got my bib # and waited it out in the car until Krystol arrived. At 8:50 we stood under a little tent before the start of the race; there was less than 100 people. This was by far the smallest race I’ve ever participated in. I was starting to feel like this was a race I shouldn’t be doing. Totally second guessing myself. 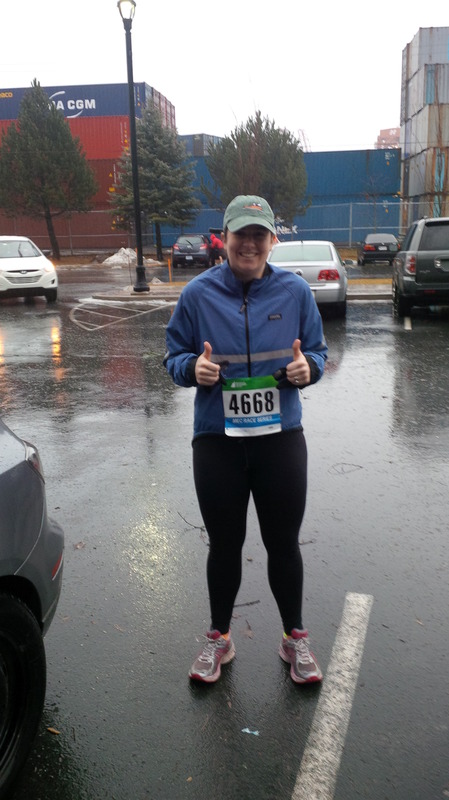 Me, excited to run in the rain! We started the race and I felt terrible. I don’t know if it was the rain, the terrain (wet, slightly muddy crusher dust) or if it was because I wasn’t really warmed up but this wasn’t going to be ‘my race’. The first 2km was terrible for me or so I thought. I wasn’t mentally or physically ready for the HILLS but there they were facing me and everyone else. Krystol was running the 10k which was the same loop twice and somehow she managed to stop at an outhouse (we were in a park) and catch up to me on the first big hill! Killer strong girl she was! We ran together and at times I told her to go ahead if she was wanting to, I didn’t want to hold her back. I’d eventually catch up to her and we’d run again. I had a friend volunteering on the course, so that was nice to see her just over the 3k mark. I really struggled with this race, not because of the weather or the terrain but just physically and mentally. As I mentioned I almost felt like I shouldn’t have been there, that I was over my head. Which is odd considering I run 5k’s lots and further distances in the past. It wasn’t a bad event, it was well-organized and had everything you needed, minus the public washroom opened before the start. The weather – meh – you can’t change that and I am totally fine to run in any type of weather we have in Nova Scotia. I guess I was just not feeling like a runner that day. I high-fived Krystol as she turned to do a second lap and stopped my Green Garmin at 32:46. I was disappointed in my time. Saï came over and asked how it went and all I could say was “I did worse than that Valley Harvest” (back in October). I struggled with the Valley Harvest 5k but finished 32:21 so why was I so disappointed in this run, in my pace. I really don’t know. I guess I had a set expectation in my head that I was going to have a great run and rock it. But I didn’t. And that’s okay (now). Overall it was a great event and I am happy I did it. I am very tempted to do the other four runs throughout the year that MEC has planned all over Halifax. Sometimes you just have to have a bad (to you) run so that you can refocus and have great runs! Any one run this weekend? Anyone do Disney? Dopey? Any distance at all? Ever get your mind-set on a run and have it go down hill? Bad runs are great because they make the good runs that much better 🙂 Good job for getting out there even though you were nervous! Thanks! I find it funny that I get nervous now before a run. Do you get nervous? I get SO nervous – my heart is always pumping like crazy when we first start and I feel like I’m going to burst into tears or start hyperventilating. There’s just something about a race that does that to me. What helps is accepting and recognizing that that’s how I will feel. Once it happens, I just try to focus on breathing and settling into a good groove. During a bad run/race I have to remind myself that I can run and have the ability to run. There were two ladies there with pictures of little (I mean brand new babies) and it said “I am running for …. because they can’t run”.Honestly, that picture and the message is what kept me going! You never would have known she was struggling with it! The hill was a killer that never seemed to end so it was a major slow down. And I like what the others said about bad runs making good runs better, so true. My time was slower than I hoped too, but oh well… first run of a new year… it’ll go up from here! Ha ha, I tried to hide it from you but thought you may have figured it out when I told you to go ahead 🙂 Yes, that hill was killer…long and so far to climb! 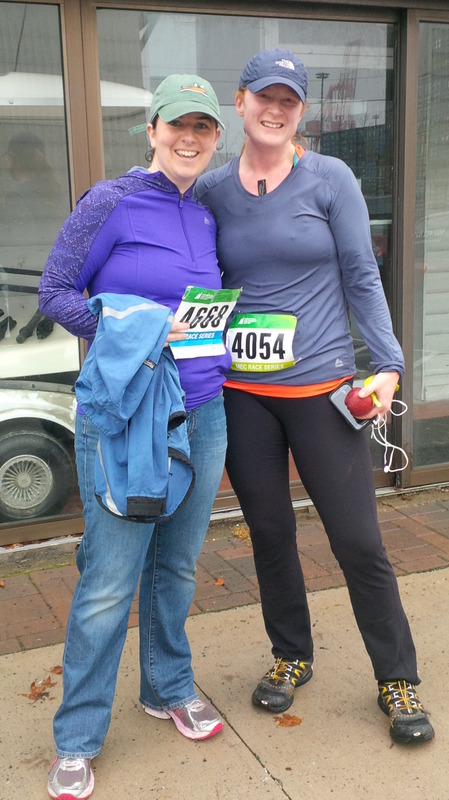 Looking forward to the next one together … Thanks running buddy! haha, well you did a good job hiding it! I shouldn’t have bothered going ahead… you were right behind me anyway. Yep, can’t wait till the next one! With those conditions, sounds like a great time – congrats! I’m hoping I’ll be able to do some races around here once it warms up (which is hopefully soon)! Way to go!!! Don’t feel bad about your time! The conditions looked dreadful! Congrats!!! The conditions weren’t too bad just not what I am used to running on. 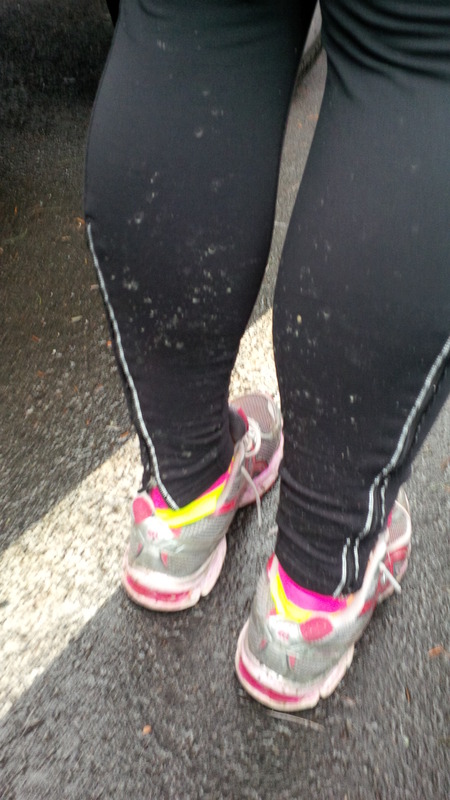 Soft crusher dust (mud/wet) vs. pavement….makes for a different run that’s for sure! At the time I really didn’t feel like I rocked it but am happy that I did the run and had fun. 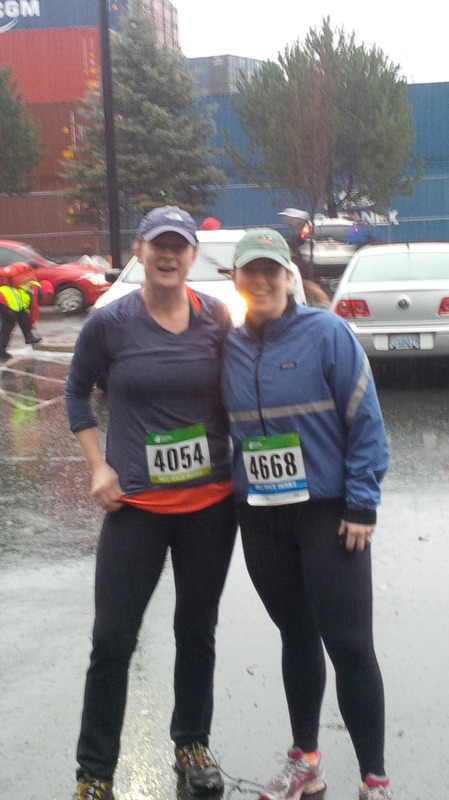 Love running in the rain – hope your run was great! Tough race conditions give us the mental edge to make some other race that most would consider “tough” seem easy to us. Glad you got out there and got it done!